I, Smritti Lama Tamang of grade ten tried and succeeded in proving that there are wonders living at the MJC. I belong to an economically poor family from West Bengal. I joined the centre in 2012 in order to receive education. My father works as a driver and my mother is a housewife. I also have two siblings. The total income of my family was meagre and could not satisfy the costs of my higher education. My father came to know that Michael Job Centre provided education and accommodation to underprivileged girls and thus decided to send me to MJC for my studies. For me, life before MJC was quite tough. On coming here, I was astonished by seeing the size of the work going on here at the centre. I saw the school and found it unique as students from various states of India were studying here. I found my future in safe hands as I saw two colleges-The Michael Job College of Arts and Science for Women and the Michael Job Memorial College of Education, B.Ed. & M.Ed. ready for my higher education. The hostel is spacious and full of loving girls living together. I feel that my new home is a beautiful place and I love to stay here. I am extremely grateful to my family and the institution for the constant support given to the students for their studies. I consider myself very lucky to be one among the girls. I always wanted to do something in return as to show my gratitude. 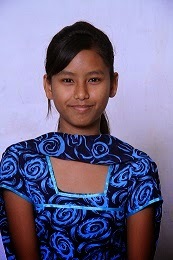 I did so by scoring 94% in her class 10th Board exams with two perfect scores (Centum) in subjects of science, 100/100 and social science, 100/100. I aspire to become a chef in future and am ready to work even harder for that. I have shown to everyone that the unvarying support given by the world to Michael Job Centre is not going in vain. I want to fulfil the dream of Uncle Dr. P.P. Job, Founder and become a great lady who grew in MJC with the best of values. Este blog é perfeito para quem quer descobrir mais sobre esse assunto . Você percebe que é praticamente impossível discutir com você (não que eu queira... Haha). Você com certeza colocou um novo olhar sobre este assunto que tem sido discutido há décadas . Parabéns, muito bem ! Seu conteúdo é maravilhoso ! Eu encontrei seu site por acaso e estou adorando todo o blog . Também vou assinar seu feed RSS para saber das suas postagens em primeira mão. Você pode nos dizer mais sobre isso ? Eu gostaria de mais detalhes sobre marketing odontologico. Admirando a dedicação que você tem com o seu blog e as informações profundas que você oferece! Você escreve novas informações que não são as os mesmos dados que encontramos em outros blogs por aí . Fantástica ! Estou adicionando seu feed RSS na minha conta do Google. Este artigo é maravilhoso! Eu achei esse artigo por acaso e vim te dizer que adorei todos os posts . Vou te adicionar e te desejo muito sucesso!